Roshan Haveli is a farmhouse which is situated in the historical location of Amer, in the city of Jaipur. The venue gives out a contemporary yet authentic Indian vibe. 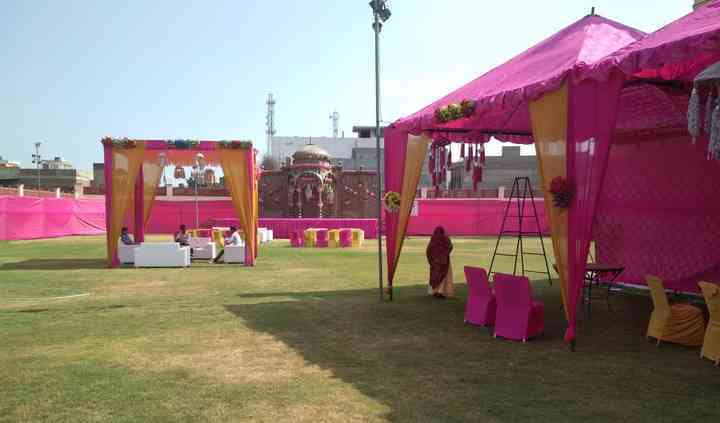 The venue has a vast bountiful luscious green lawn which gives out a spacious and grand look to the venue. Roshan Haveli has an embracing Banquet Hall which is another precious jewel in its crown. 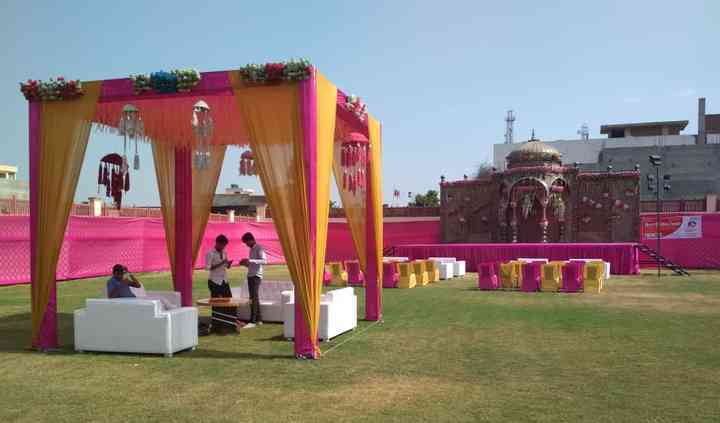 The venue is a paradise on the Jaipur-Delhi Highway and the moment you enter, you will have a real luxurious experience with a true Indian flavour. Including their services and facilities offered, they really provide a well-maintained and beautifully built authentic Indian venue designed with frescoes on its walls. Their service staff at this farmhouse is extremely sweet and welcoming that will keep your guests as family and make sure to cater to their concerns no matter what. They also provide guest accommodation for your guests coming from outstation places. Their In-house decor is something you can vouch for as they will make your wedding look bedazzling and shining. 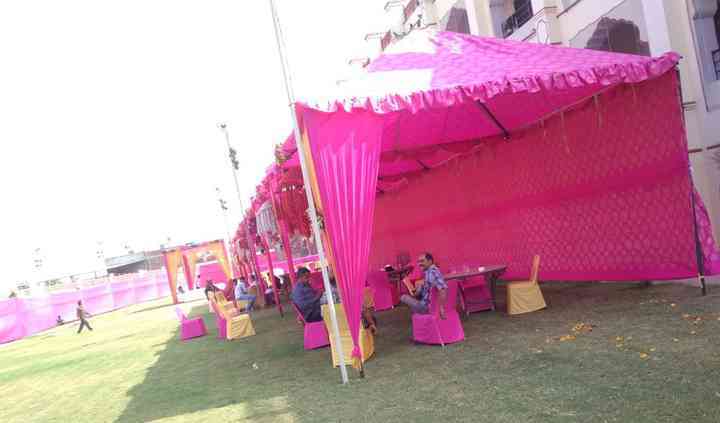 They also host a restaurant on the premises for your guests to try out some Rajasthani cuisine when in Jaipur. 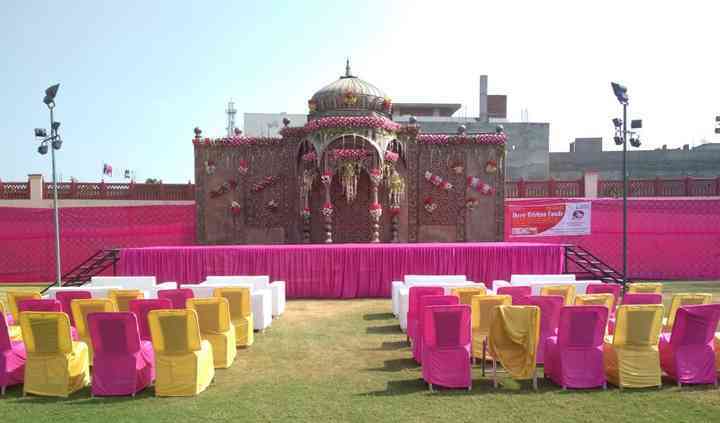 Choose Roshan Haveli for a well-decorated and well-serviced wedding venue. Cuisines must be in plenty at a wedding as your guests need variety to be fully satisfied. Roshan Haveli provides International as well as Indian cuisines which include North Indian, South Indian, Rajasthani and other oriental cuisines as well. They can also prepare customized menus if your guests demand it. Their catering team will cook some mouth-watering and platable delicacies that your guests will remember long after the wedding festivities are concluded.